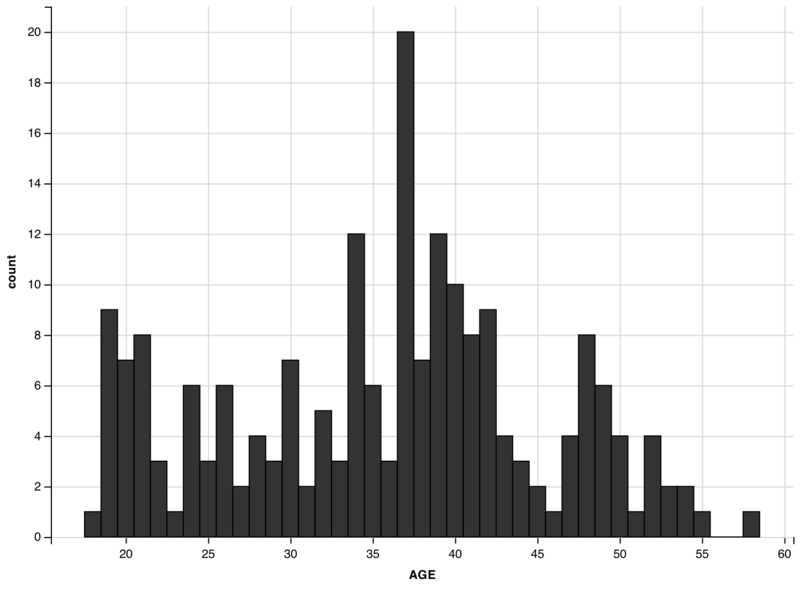 The two previous posts described how you can make histograms with basic R and the ggplot2 package. 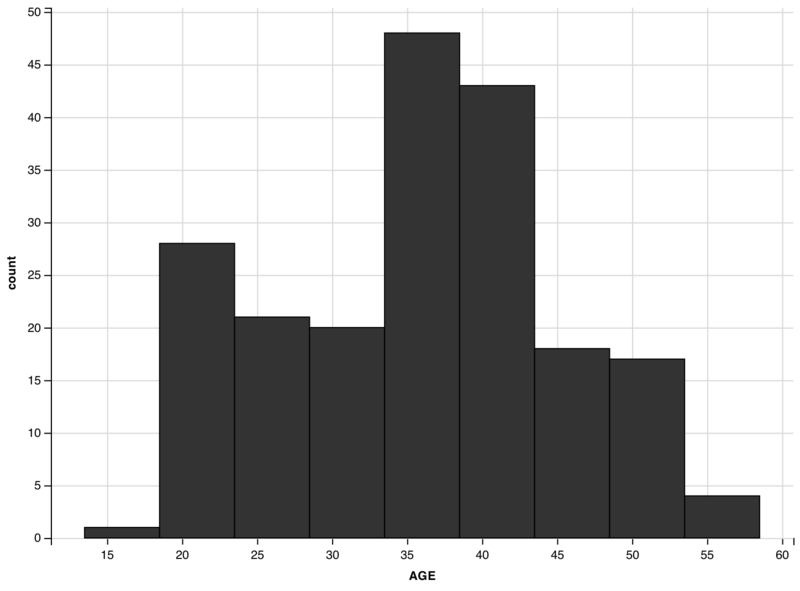 This third and last part of our histograms tutorial will look at ggvis. This package is similar to ggplot2, as it is also based on “the grammar of graphics”. However, ggvis has slightly different expressions and extends ggplot2 by adding new features to make your plots interactive. Want to learn more? Discover the DataCamp tutorials. It might seem silly, but do not forget about your data! You can use a data set that is built into R already or get your own data set. 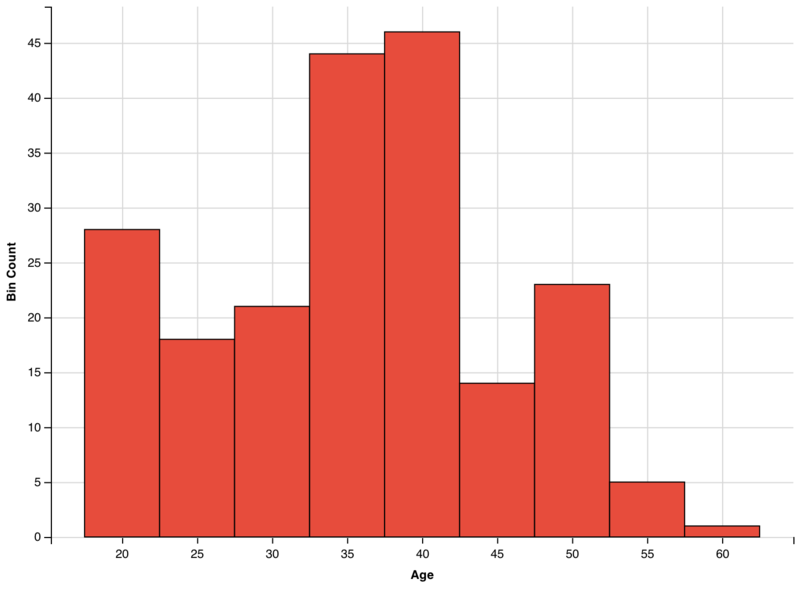 In this example, we will continue with the data from the previous blog post on histograms: the chol data set. Study the line of code printed above a bit more clearly: you see that ggvis uses the operator %>%, which is also known as the pipe operator, from the magrittr package. This operator passes the result from its left-hand side into the first argument of the function on its right-hand side. So f(x) %>% g(y) is actually a shortcut for g(f(x), y). The width argument already set the bin width to 5, but where do bins start and where do they end? You can use the center or boundary argument for this. center should refer to one of the bins’ center value, which automatically determines the other bins location. The boundary argument specifies the boundary value of one of the bins. Here again, specifying a single value fixes the location of all bins. As these two arguments specify the same thing in a different way, you should set at most one of center or boundary. Note that the boundary and center may be outside the range of the data. In that case, ggvis is smart enough to determine to extrapolate what you meant and will decide on a location of the bins. 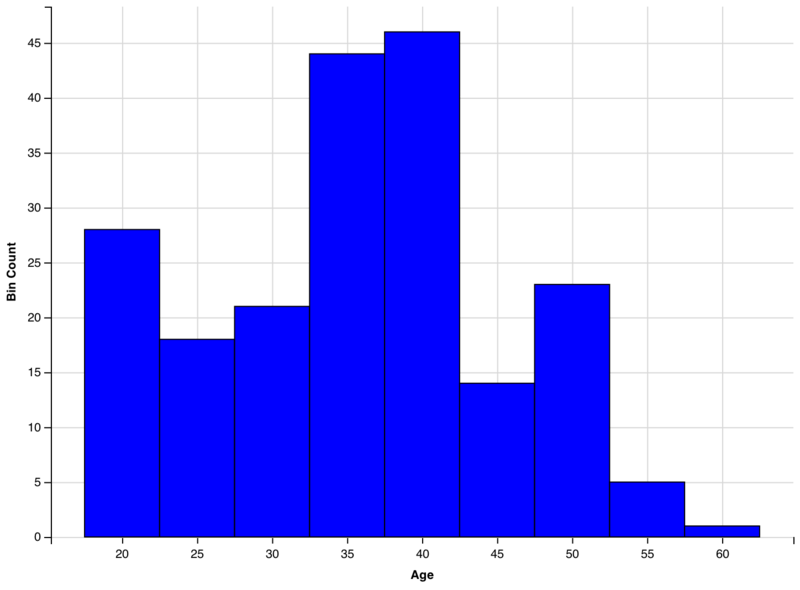 Experiment with the arguments described above to see what the influence could be on the interpretation of the histogram. Note the use of :=, which sets a property to a specific color (or size, width, etc. ), as opposed to mapping it, as the = operator does. Tip: you can find more information about this in DataCamp’s ggvis course. Tip: If you would like to have a more detailed and broader understanding of data visualization in R, you might be interested in the Data Visualization with R skill track, in which you’ll learn how to communicate the essential features of your data by creating beautiful visualizations with ggplot2 and base R graphics. 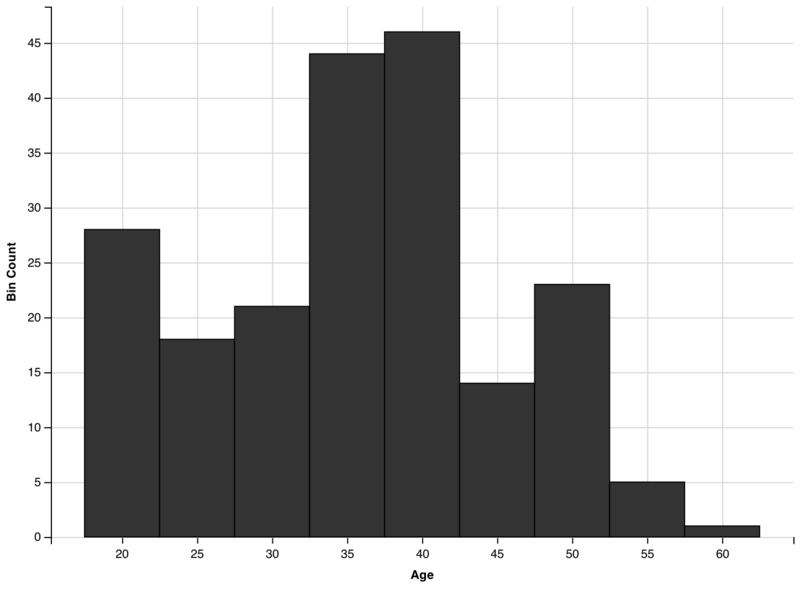 There are a lot of options to make histograms in R. The option you should choose is really a trade-off between what you want to accomplish and how fast you want to achieve this. But of course, this trade-off is subject to your own programming experience with R and other languages: either option would go fast for any well-trained programmer.